Amanda has over 15 years of experience in the dental field, and obtained her BS degree in Dental Hygiene from Indiana University. She is pursuing a Master’s degree in Dental Hygiene Public Health from Idaho State University and is looking forward to applying this advanced knowledge to help her patient’s oral health. Amanda lives in Somonauk with her husband and two sweet daughters, and enjoys cooking, DIY projects, and spending time with her family. She has enjoyed being a part of Dr. Kim’s team since 2012. Bobbi lives in Naperville with her husband of over 30 years. She has two beautiful daughters who are married and she hopes to have some grandchildren to spoil soon. She has been in the dental field for over 25 years and a hygienist for 10 years. Her passion for dentistry shines through! When she isn’t working she loves to bake and spend time with her family. Trisha joined Dr. Kim in 2005 and has the gift of making patients feel comfortable and special in our office. She is certified in Coronal Polishing and Sealants. Trisha resides in Montgomery with her husband of over 30 years and their three wonderful children. When not at work, your will often find Trisha gardening or shopping. The LDC team is blessed to have her. 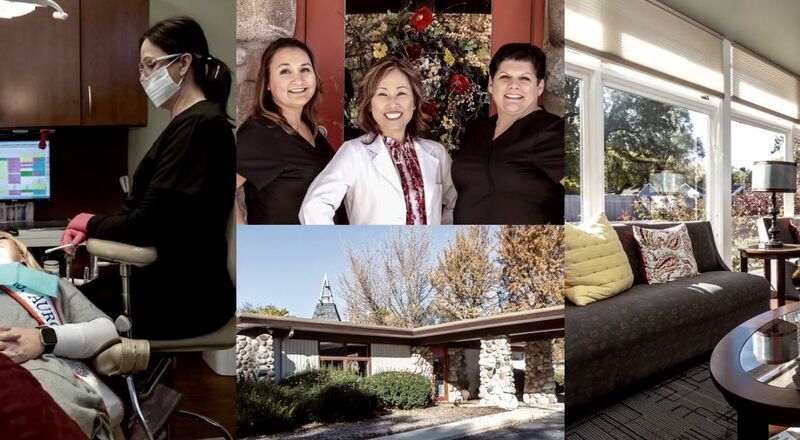 Lety has had the privilege of working side by side with Dr. Kim for over 20 years. Lety has certifications in Coronal Polishing, Sealants and Orthodontics and loves serving patients in her home town of Aurora. She manages the clinical team with efficiency and is passionate about providing excellent care to our patients. Lety is married with four beautiful children who keep her busy with soccer, gymnastics, and poms. Lorie is the smiling face that greets our patients as they walk through our door. She has been in the dental and medical field for over 12 years and loves serving our patients. She goes above and beyond to provide our LDC patients with the first class experience they deserve. Lorie was raised in the Fox Valley and resides in Oswego with her fiance, Anthony. She has two grown children and faithful feline, Sampson. In her free time, Lorie enjoys traveling, spending time with family and decorating. Did we mention, shoe shopping? I’ve lived in the area all my life. I have been working in the dental field for 14 years. My goal is for patients to feel comfortable in our office and to understand their treatment plans and insurance coverage. I’m married and have three children and several grandchildren. I have many hobbies but I really enjoy spending time being with my family.